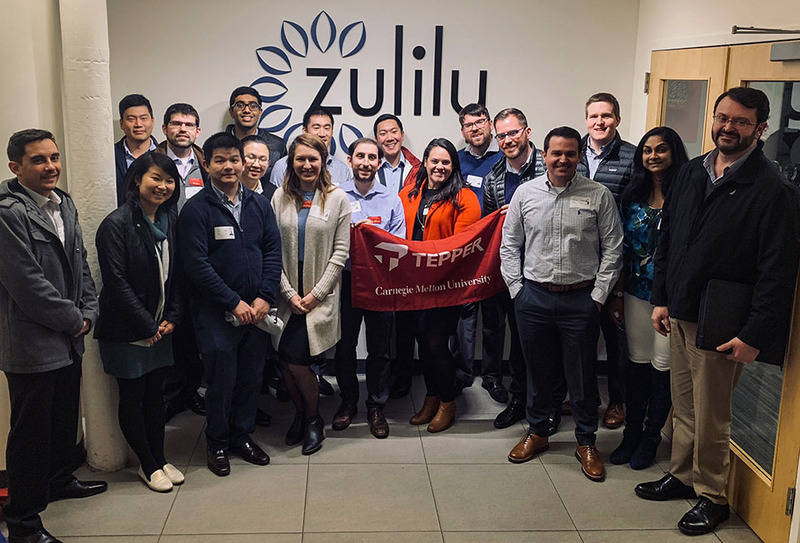 You may have read my classmate’s, David Baars, blog about the Business & Technology club (B&T) trek to Silicon Valley (if you haven’t, you can find it here) back in the fall of 2018. 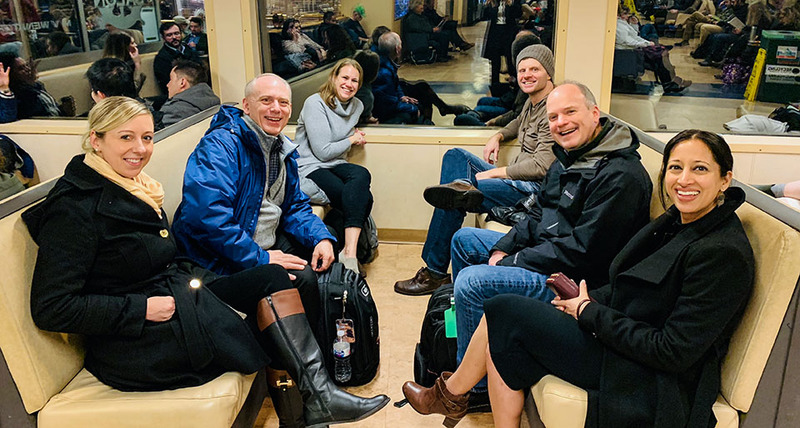 This post is about a second trek organized in early January to Seattle area. 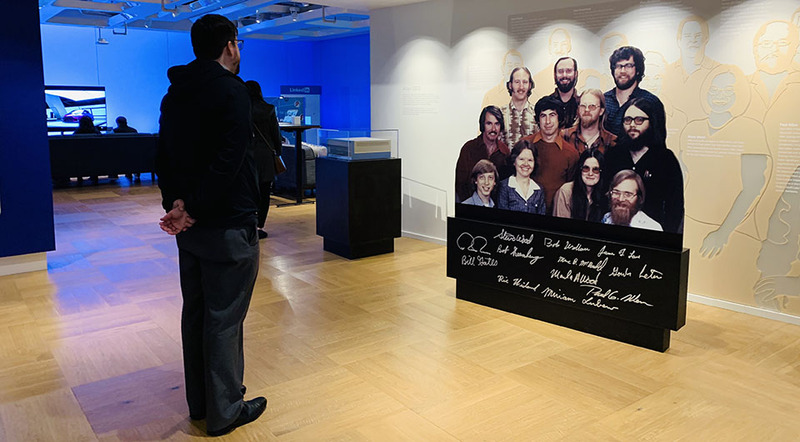 The B&T club organized another visit to the West Coast, this time to Seattle. This trip was a bit more intimate with 8 companies in 4 days and 18 classmates. First impressions – wow, what a beautiful campus! Second impression – the people are so friendly and welcoming! The campus is indeed very well thought out with many meaningful stories behind each design element. It may, by far, be my favorite Google visit to date and I have now been to Google in Austin, Boston, Mountain View, and in Pittsburgh. We were lucky to be invited to join a few employees for lunch at the Google cafe which offered a large variety of options for all taste pallets. We then trekked to Bellevue to visit Expedia. I spent a few weeks in Bellevue in January and May … 10 years ago! So it was especially fun for me to go back and see how the city has changed and it definitely has! 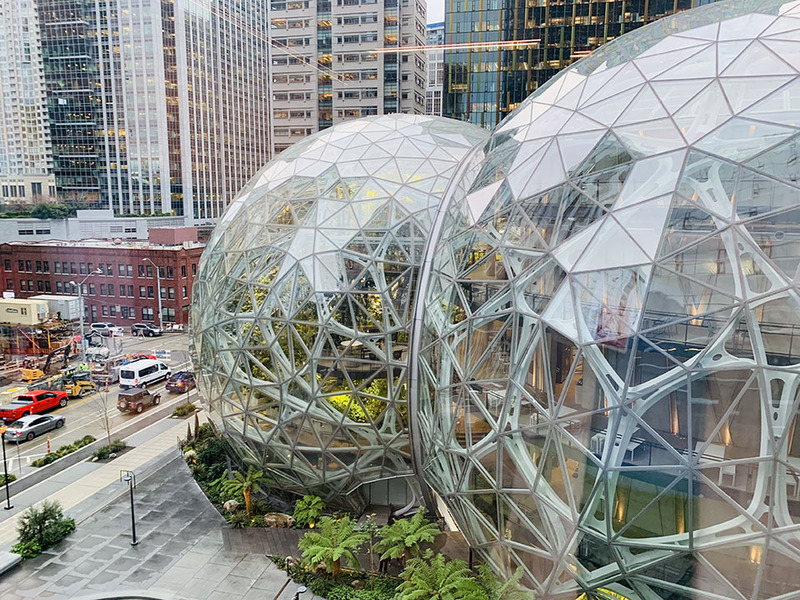 Tech is moving North of San Francisco and the evergreen nature of Washington state makes for an appealing setting. 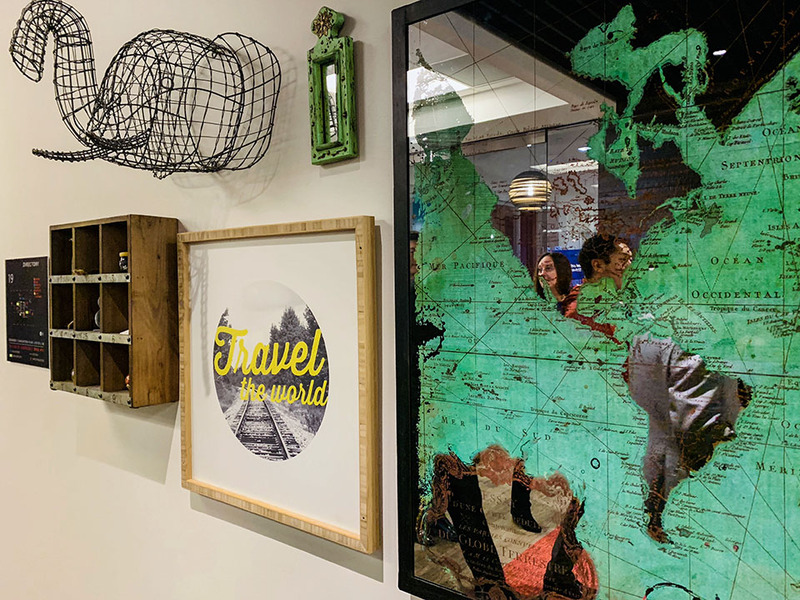 As a hobbyist travel blogger, visiting Expedia was like visiting a candy store for me. It is Expedia’s last year at the Bellevue campus (the company is building new campus in Seattle), so I am glad we got to visit it before the grand move. It was eye opening to learn about all the products and brands Expedias has in its portfolio! Ten years ago I remember driving past the Microsoft campus admiring it from the distance. I could not have imagined that 10 years later I would get a visitors badge and spend half a day networking with Microsoft employees! From the employee interactions to the projects the company is working on, it is immediately apparent that Microsoft cares deeply about running ethical operations. Just down the street from Microsoft is the Nintendo campus, which welcomed us with open arms … and games in the lobby! 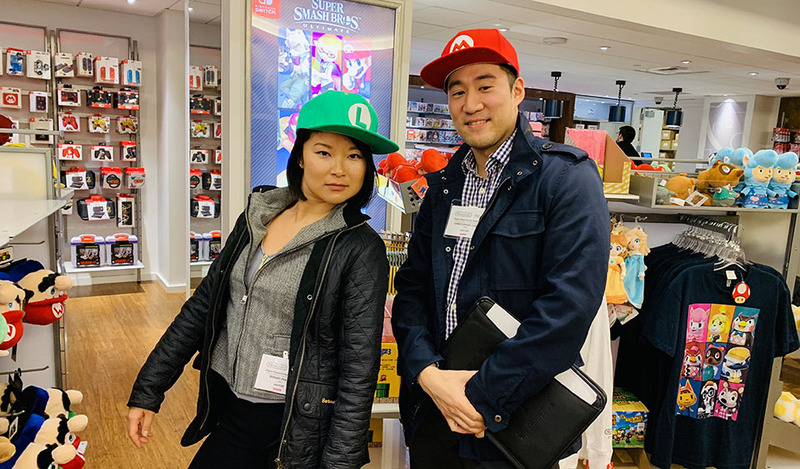 We learned how the Nintendo North American office collaborates with its parent office in Japan and about behind the scenes logistics that bring the games we all love to the market. It’s not an easy task! Forgive the abundance of Amazon photos, it was a very activity filled visit. 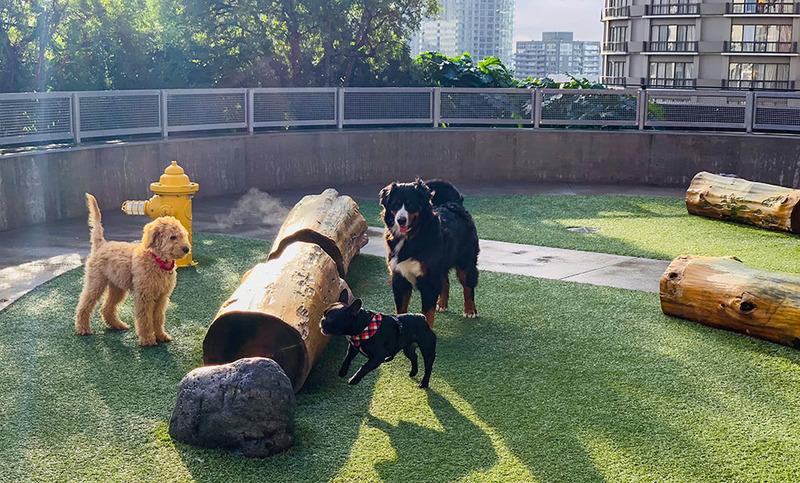 We got to visit the Spheres, the Banana Cart, the dog park, the Amazon Go Store (it really felt weird taking things off the shelf and just putting them in my purse; also, their AmazonGo chocolate is pretty amazing! 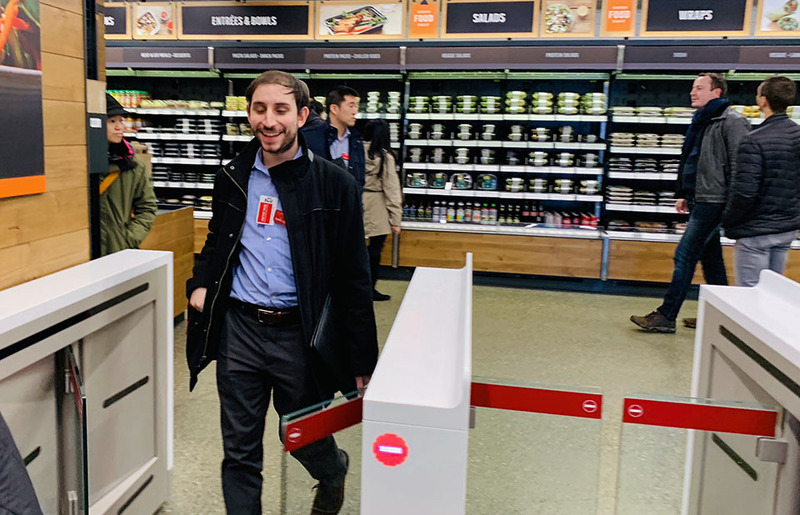 ), and interact with many Tepper alums including Brian Olsavsky, the Amazon CFO. Our Starbucks visit was in late afternoon, everyone was looking forward to a little pick-me-up cup of coffee and we were not disappointed. Our panel discussion with Starbucks partners started with coffee tasting. We also learned about the history of the brand the the purposeful imperfections behind the Starbucks siren. 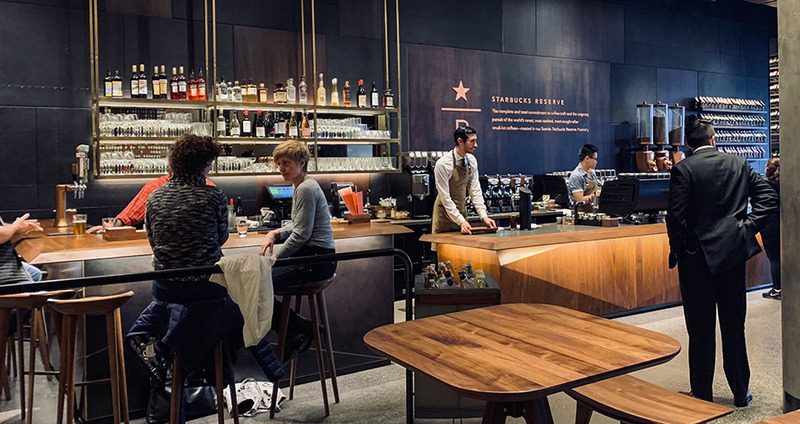 After the official visit we treated ourselves to the premium coffee experience at the Starbucks Reserve coffee bar. Zulily was, perhaps, the most surprising visit of all. Our group had no idea how technically involved the company is. We learned how a small online retailer grew into a respected e-commerce business. 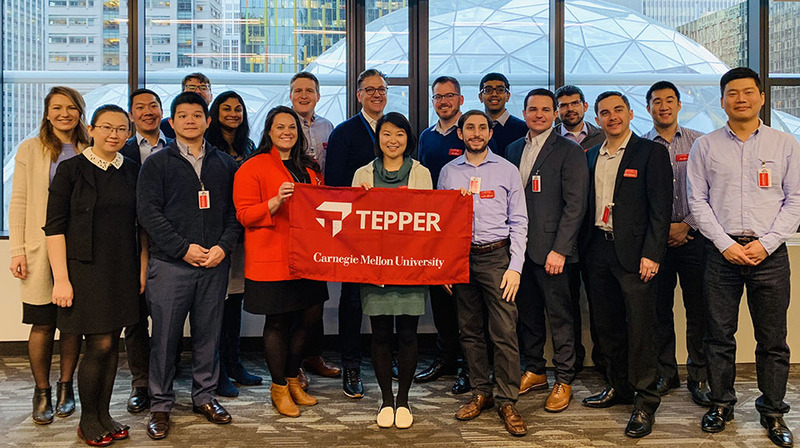 Jeff Yurcisin, the president of the company, shared his vision and inspiration for running a successful business and gave all of us valuable tips for our continued MBA journey. Last, but by no means the least (even if it’s by sheer size), we visited the Boeing campus in Everett. Did you know this campus is the largest manufacturing building in the world? Phew, now I can cross that one off my bucket list! It was amazing to get so up close and personal with the Boeing planes. We weren’t allowed to take photos inside (security), but trust me, the Boeing’s efficiency in building these giant birds is beyond fascinating – with all the parts in place, Boeing can assemble a 787 in less than 2 weeks! 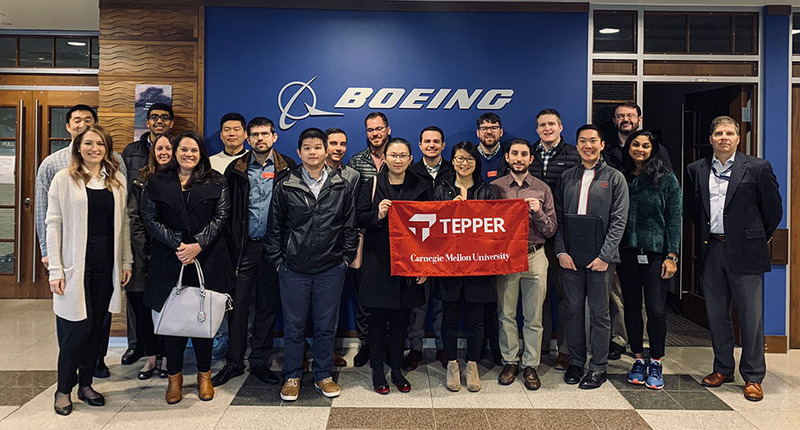 In addition to all the awesome company visits, we also had two networking nights with Tepper alumni. Lead by our fearless and amazing Executive Director of alumni relations, John M. Sengenberger, the first night we gathered at the Pan Pacific Hotel in Seattle. We mingled with some inspiring alums and attended a panel discussion on data and technology innovation lead by Dean Robert Dammon himself. Data can move ideas, emotions can lead people. Our second alumni night was generously hosted by MSIA alumnus of 1988, Geoff Entress, Managing Director of Pioneer Square Labs, on the Bainbridge Island. To get to the island, we had to take the ferry. The unexpected night views of downtown Seattle were the icing on the cake to a wonderful night. 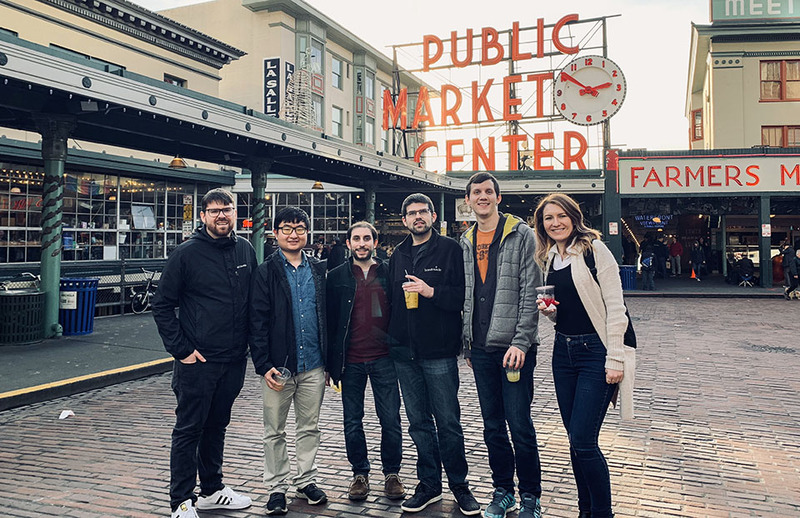 And of course we couldn’t end our visit to Seattle without going to a food tasting tour at the Pike Place Market. Seattle, I hope to see you again soon! Iryna was born in Ukraine and moved to Houston, Texas when she was 13. Her undergraduate degree is in organizational leadership and supervision from the University of Houston. Before pursuing MBA, she spent 7 years in a corporate social responsibility role as a community relations specialist at an oil & gas services provider. Outside of work and school, she is a blogger, DIY-er, and a photographer. Post-MBA she is working toward a product or program management role in a leading technology company.